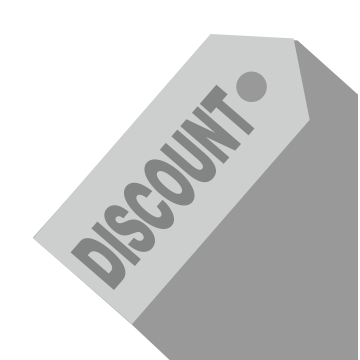 Looking for Jaguar parts coupons near Chester Springs? Look no further than our rotating Jaguar parts specials here at Jaguar West Chester. Find special offers including tire price specials, oil filter coupons, and we even offer special pricing on Jaguar watches. Browse our parts coupons online to discover the offer you’ve been looking for. For any questions about our parts offers, please contact us, our parts experts will be happy to answer any questions you might have. A precision chronograph watch with three-dial face and Jaguar Heritage logo. 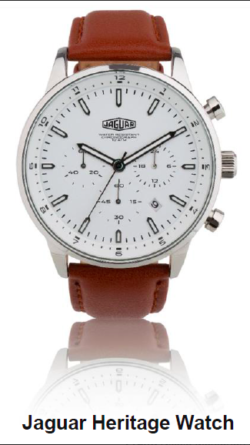 Water resistant to 10 ATM and features an Italian leather strap. 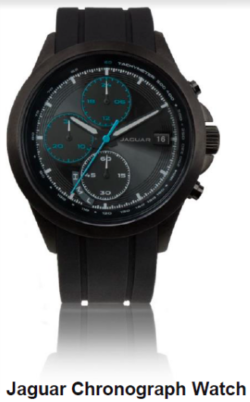 A classic watch design with solar charging face, 3 chronograph dials. Finished with blue detailing inspired by the Panasonic Jaguar Racing team. Runs for up to 4 months on a full charge. Water resistant to 10 ATM. 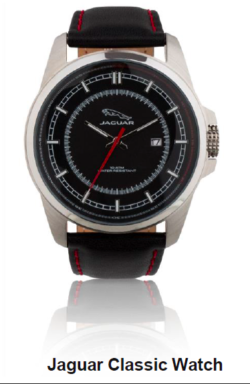 Featuring inner minutes dial with Jaguar red detailing and date aperture. Water resistant to 10 ATM. Finished with a textured leather strap. Whether you need new wiper blades, an air filter, or floor mats, Jaguar West Chester has the Jaguar parts coupons you’re looking for. Our dedicated Jaguar parts department is also on hand for any parts specific to your Jaguar vehicle. Simply contact us, or visit our parts and service center in West Chester near Newtown Square for all of your auto parts needs.